Home » Team » Eric Sammarco, Ph.D., P.E. 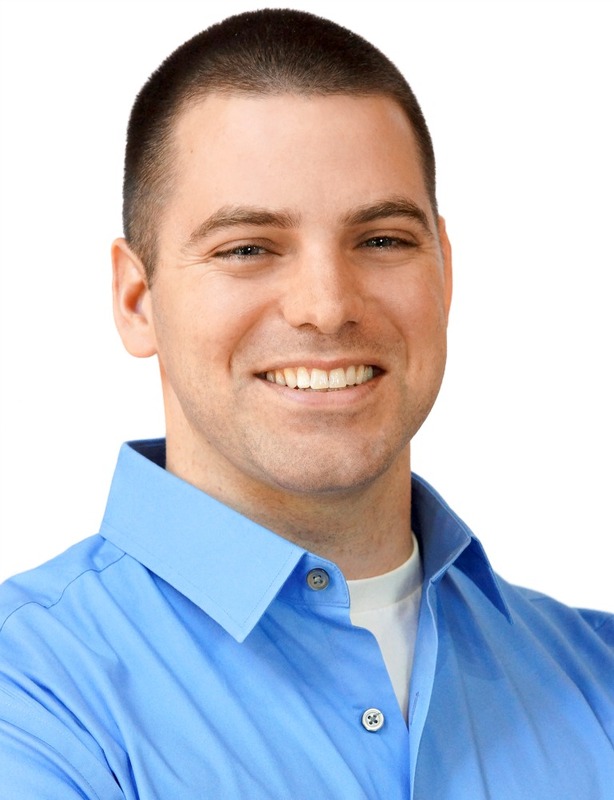 Dr. Eric Sammarco joined Protection Engineering Consultants (PEC) in the fall of 2013 and has twelve (12) years of structural engineering research and design experience. He currently serves as the company’s Advanced Technology + Research (AT+R) Team Leader and manages/supports projects and applied R&D efforts focused on risk mitigation for people, systems and mission-critical infrastructure from natural hazards, extreme accident scenarios, and hostile attacks. Eric’s technical interests include assessment and design for blast, shock, and impact effects, application of advanced multi-physics modeling and simulation techniques, and application of performance-based analysis and design methodologies for natural and man-made hazards. Since joining PEC, Eric has worked in several different industry sectors. He has supported licensing-basis and post-Fukushima plant modification projects and security-related assessment/upgrade projects for domestic and international nuclear power plants. He has performed multi-hazard assessments, seismic peer reviews, and seismic risk rating system development for commercial, U.S. military and heavy industrial clients. Eric has been heavily engaged in transportation infrastructure safety and security; key efforts have included primary authorship of the Federal Highway Administration’s (FHWA) Bridge Security Design Manual, chief developer of the Anti-Terrorism Planner for Bridges (ATP-Bridge) software for the Department of Homeland Security (DHS), applied research and development of stay-cable protection strategies for long-span bridges, vulnerability assessment of a highway bridge to the effects of ongoing quarry blasting, and Principal Investigator of a Phase 2 SBIR with the Federal Railroad Administration (FRA) aimed at enhancing rail passenger survivability during a derailment event through resilient wayside structure designs. Eric excels at employing high-fidelity numerical modeling techniques to enhance the accuracy of assessments and optimize risk mitigation strategies; examples include quantifying load effects from landmine detonations, assessments of industrial machines and equipment to accidental explosions, beyond-design-basis seismic capacity assessments, novel tornado missile barrier designs for nuclear plants, and the implementation of a statistical glass-fracture material model into a nonlinear dynamic finite element framework for predicting the blast response of architecturally complex glazed façade systems. Brewer, T. and Sammarco, E. (2018). “Modeling Façade Performance Subject to Wind Loads in Urban Environments.” Proceedings from the 2018 Façade Tectonics World Congress; Los Angeles, CA. Jones, C., Sammarco, E., and McKay, A. (2018). “Consideration of Disproportionate Collapse Design Provisions in Earthquake Damaged Structures.” Proceedings from the Eleventh U.S. National Conference on Earthquake Engineering; Los Angeles, CA. Barsotti, M., O’Hare, E., Sammarco, E., Rasico, J. G., Gerst, D., and Newman, C. A. (2017). “Accurate Land Mine Modeling Using FEM & SPH with Modified Smoothing Length.” Proceedings from the 2017 NDIA Ground Vehicle Systems Engineering and Technical Symposium; Novi, Michigan. Hadjioannou, M., Barsotti, M., Sammarco, E., and Stevens, D. (2017). “Physical Testing and Modelling of Bolted and Welded Connections for Armored Vehicle Models.” Proceedings from the 2017 NDIA Ground Vehicle Systems Engineering and Technology Symposium; Novi, Michigan. Marchand, K. A., Davis, C. E., Sammarco, E. L., and Bui, J. (2017). “Extending Glass Façade Performance Predictions for Natural and Man-Made Hazards Using Accessible High-Fidelity Formulations.” Proceedings from the 39th IABSE Symposium; Vancouver, Canada. Marchand, K. and Sammarco, E. L. (2016). “When Structural Blast Design Doesn’t Really Include Blast Resistant Design: Damage Limiting Construction and Explosion Protection by Deflagration Venting.” STRUCTURE Magazine, American Society of Civil Engineers; Reston, VA.
Barsotti, M., Sammarco, E., and Stevens, D. (2016). “Comparison of Strategies for Landmine Modeling in LS-DYNA with Sandy Soil Material Model Development.” Proceedings, 14th International LS-DYNA Users Conference; Detroit, MI. Sammarco, E., McKay, A., and Marchand, K. (2016). “Enhancing the Security of U.S. Highway Bridges: Making Use of New Technology to Assess Risk and Prioritize Protective Measures.” The Structural Engineer, Journal of the Structural Engineers Association of Texas; Austin, TX. Marchand, K., Davis, C., Sammarco, E., Bui, J., and Casper, J. (2016). “Coupled Glass and Structure Response of Conventional Curtain Walls Subjected to Blast Loads: Validation Tests and Analysis.” Journal of Glass Structures & Engineering. Sammarco, E. L., LaRue, T., Smit, J., and W. Guess. (2015). “Computational Evaluation and Mitigation of Wind-Driven Missile Impact against Condensate Storage Tanks and Associated Piping Connections.” Proceedings, 23rd Structural Mechanics in Reactor Technology (SMiRT23); Manchester, UK. Sammarco, E L. (2014). “Development of Simplified Dynamic Response Models for Blast-Loaded Bridge Components.” Doctoral Dissertation, The University of Texas at Austin; Austin, TX. Sammarco, E. L., Jones, C. A., Williamson, E. B., and H. O. Sprague. (2014). “Design for Blast and Seismic: Acknowledging Differences and Leveraging Synergies.” STRUCTURE Magazine, American Society of Civil Engineers; Reston, VA.
Harris, K. D., Robinson, N., and L. Sammarco. (2013). “Seismic Time Histories: A Practical Approach.” STRUCTURE Magazine, American Society of Civil Engineers; Reston, VA.
Puryear, J., Barsotti, M., Stevens, D., Williamson, E. B., Sammarco, E. L., Bui, J. Q., and Crane, C. K. (2013). “Modeling Blast-Loaded Steel Cables.” Symposium on Interaction of the Effects of Munitions with Structures; Potsdam, Germany. Puryear, J., Stevens, D., Marchand, K., Williamson, E. B., Sammarco, E. L., Bui, J. Q., and Crane, C. K. (2013). “Predicting Spall and Breach for Blast-Loaded Reinforced Concrete Columns.” Symposium on Interaction of the Effects of Munitions with Structures; Potsdam, Germany. Sammarco, E. L., Bui, J. Q., Williamson, E. B., Puryear, J., Stevens, D., and Crane, C. K., (2013). “From Research to Practice: A Novel Vulnerability Assessment Software for Blast-Loaded Bridge Components.” Symposium on Interaction of the Effects of Munitions with Structures; Potsdam, Germany. Sammarco, E. L., Bui, J. Q., Hendryx, R., Williamson, E. B., Puryear, J. M. H., Stevens, D. J., and Crane, C. K. (2013). “Enhancing the Security of Critical Highway Infrastructure: Development of Component-Level Vulnerability Assessment Software for Blast-Loaded Bridges.” The 2013 Critical Infrastructure Symposium; West Point, NY. Sammarco, E. L., Hendryx, R., Bui, J. Q., Williamson, E. B., Crane, C. K., and Ray, J. C. (2012). “Development of a Novel Engineering Tool for Assessing Vulnerability of Critical Highway Bridge Components Subjected to Blast.” Proceedings, 4th Munich Bridge Assessment Conference; Munich, Germany. Sammarco, E. L., Williamson, E. B., and Davis, C. (2011). “Enhancing the Security of U.S. Highway Bridges: Developing Protective Design Guidance, Tools, and Techniques.” Transportation Research News Magazine, Transportation Research Board; Washington, D.C.
Williamson, E. B., Sammarco, E. L., Hendryx, R., and Bui, J. (2011). “Addressing the Vulnerability of U.S. Highway Bridges to Terrorist Attacks: A Structural Engineering Perspective.” Proceedings, 5th Annual Department of Homeland Security University Network Summit, U.S. Department of Homeland Security; Washington, D.C.
Sammarco, E. L., and A. B. Matamoros. (2010). “Plasticity-Based Nonlinear Finite Element Analysis of Reinforced Concrete Columns with Inadequate Seismic Detailing.” Proceedings, US-Canada Joint Conference on Earthquake Engineering, EERI; Toronto, Canada.